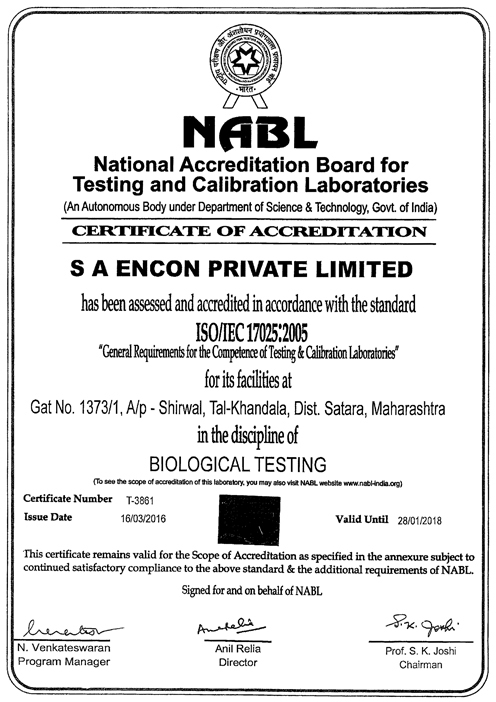 " WELCOME TO S A ENCON "
S A ENCON PRIVATE LIMITED established in 2011 with the mission of offering holistic Laboratory services in Environmental and Food Analysis. 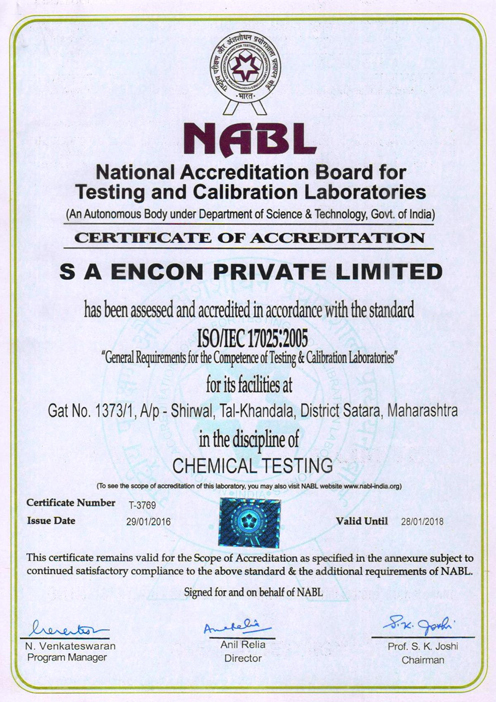 S A ENCON PRIVATE LIMITED is certified with ISO 9001:2008, OHSAS 18001:2007, ISO 14001:2004 and NABL provides wide range of testing of Air, Water, Sewage, Effluent, Soil, Noise, Solid & Hazardous Waste etc. 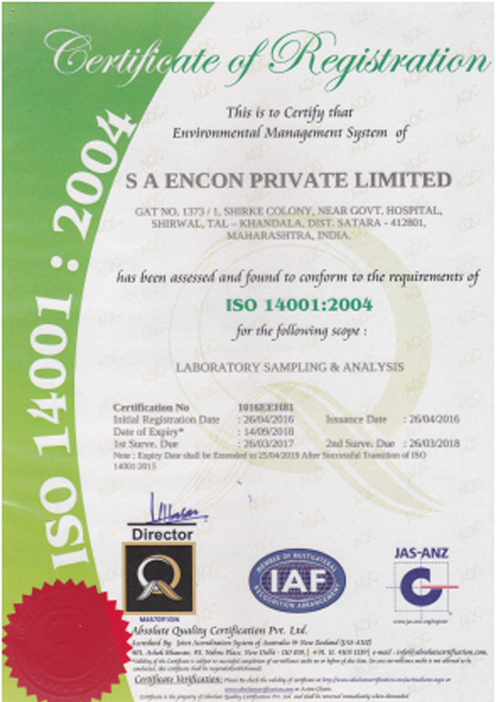 We follow NABL, MoEF, APHA, EPA, CPCB Indian Standard/Other International Standard approved methods for monitoring and analysis. 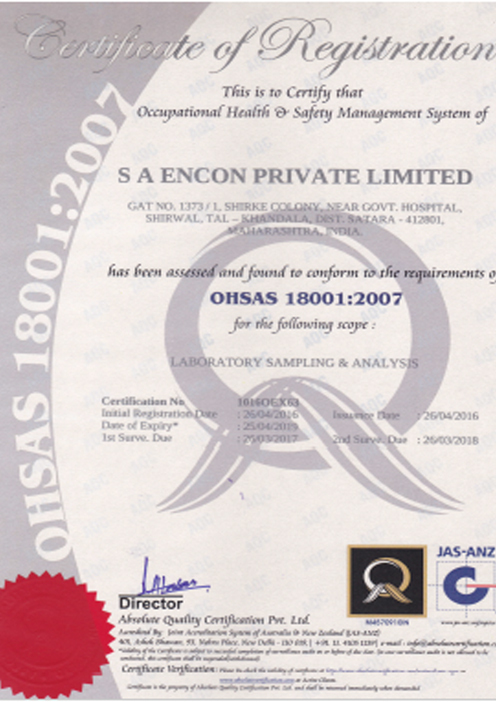 We offer a range of analysis packages on all environmental segments. Some of the projects done by us. Timely & Techno feasible professional Services . 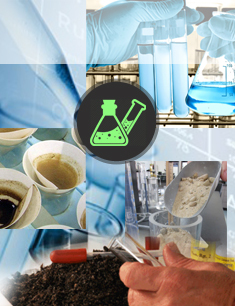 Finolex J-Power Systems Pvt Ltd.
Superior services in Pollution Control activities. 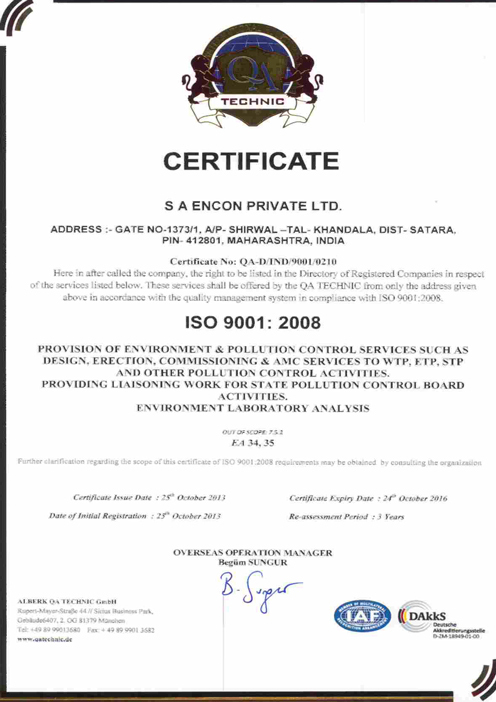 Excellent Services in Pollution Control Activity. 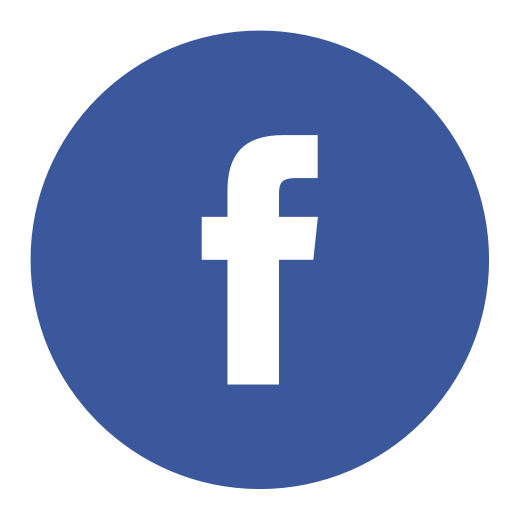 All projects were completed on time and within budget. Govind Milk & Milk Products Pvt. Ltd. Accurate laboratory analysis. 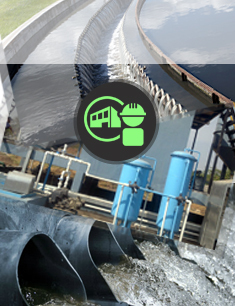 Very Good Professional services in installation and Operation of pollution control Activities. Godrej Boyce Mfg. 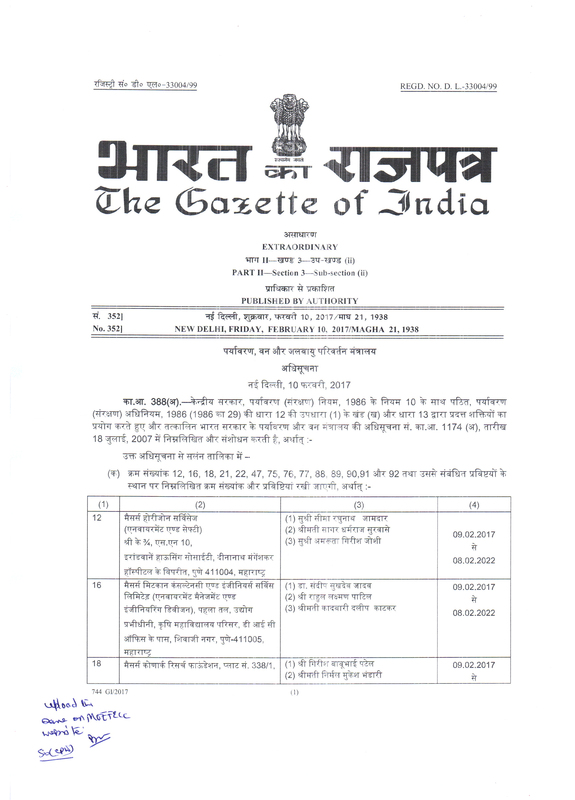 Co. Ltd. 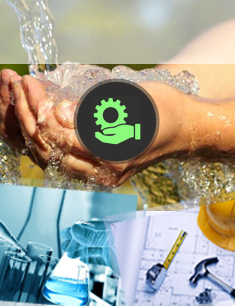 Satisfied with timely, well planned professional services. 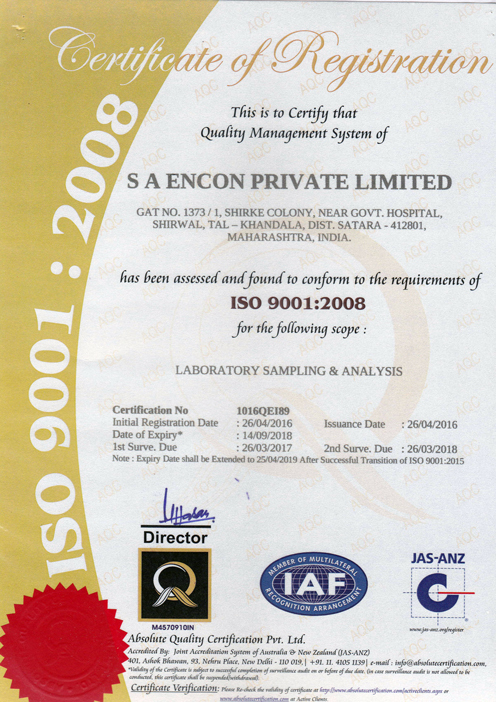 We are very impressed with S A Encon Private Limited’s quality of work and professionalism.